It is down to the final four teams. 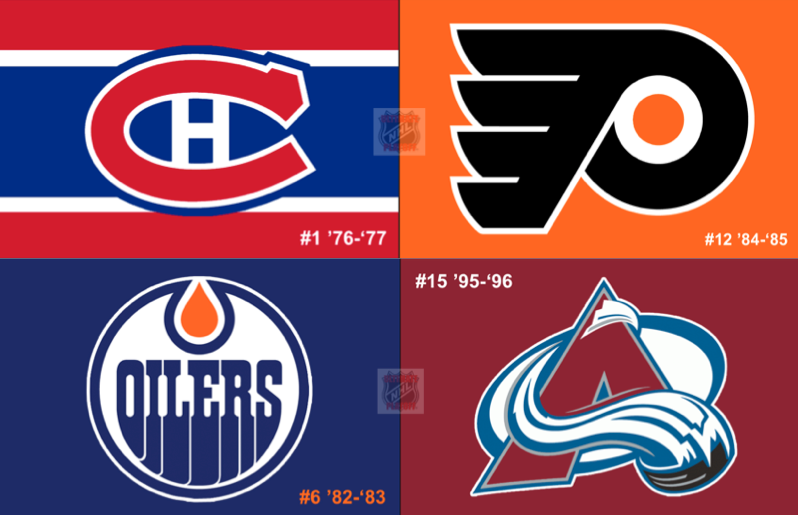 From a field of 48 teams, the only four teams remaining are the top-seeded ’76-’77 Montreal Canadiens, the 6th-seeded ’82-’83 Edmonton Oilers, the 12th-seeded ’84-’85 Philadelphia Flyers and the 15th-seeded ’95-’96 Colorado Avalanche. These are the same four franchises that appeared in last year’s Ultimate NHL Playoff Semifinal and the same two Semifinal matchups as last year. However, the specific teams for each of the four franchises left have changed, so we do have brand new team matchups. The ’76-’77 Canadiens are in their second individual trip to the Semifinal and will look to keep the UNP title within the franchise and they will have to get by the ’84-’85 Flyers, who are in their first ever UNP tournament. In the other Semifinal matchup, the ’82-’83 Oilers, who are also in their first ever UNP tournament, face the ’95-’96 Avalanche, who are in their second UNP tournament and are making their first Semifinal appearance. So, now that we have reached the Semifinal Round, the matchups will not be done entirely at one time. Instead, each game of each series will be done separately and will have their own posts. Game 1 between the ’76-’77 Habs and the ’84-’85 Flyers will get the round started on Monday! This entry was posted in Semifinal, Ultimate NHL Playoff and tagged Colorado Avalanche, Edmonton Oilers, Montreal Canadiens, Philadelphia Flyers, Semifinal, Ultimate NHL Playoff. Bookmark the permalink.